Located in Delhi(India), our company is involved in making available wide array of products that are in conformance with the industry standards. 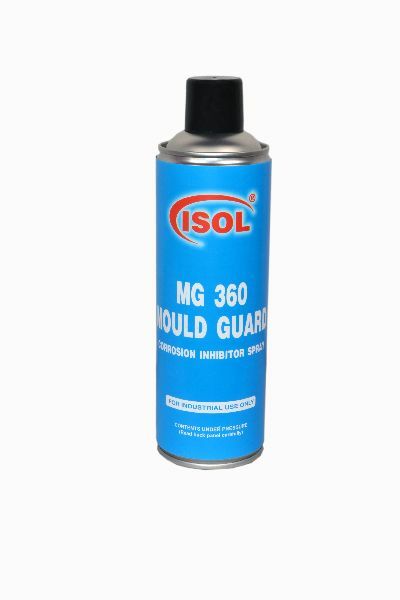 Our organization is avidly engaged in supplying an exclusive range of Mould Protector Mould Guard Spray at reasonable prices. It is high performance corrosion preventive. The oily coating is non-staining in nature. It has the ability to displace moisture from the surface of most metals. The oily coating is easily cleanable with ordinary solvents. Indoor protection of six months and outdoor protection of three months are easily achievable. Applications : Rust and corrosion protection during storage of freshly machined components, Tools, dies, moulds, machine guide ways, keys, shafts, measuring instruments, diesel loco parts, fasteners, bearings, etc. Packing : 12can of 350 gm. each are packed in one corrugated box. Feature It is high performance corrosion preventive,The oily coating is non-staining in nature. Application Rust and corrosion protection during storage of freshly machined components, Tools, dies, moulds.